Carrubbers Christian Centre is a non-denominational evangelical church in Edinburgh. As well as Sunday services and other activities, the church runs Christianity Explored for those interested in finding out more about Christianity and courses for new Christians. 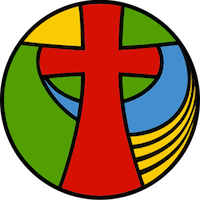 The website provides a large range of Christian information and resources with special emphasis on serving the local members. Online tools include rotas, an address book, service planner, songs database, sermons to listen to, a daily blog from the pastoral team and mailing list groups. We continue our series "John's Gospel", as Wayne Sutton speaks on "The Sending of the Spirit". We continue our series "Zechariah", as James Morris speaks on "The Kingdom of Heaven has come on Earth". 11:30am: Wayne Sutton – "EASTER: The Rock Upon Which Christianity Stands or Falls!". 6:00pm: David Anderson – "Easter Communion". Catch up on fifteen years of recorded sermons. Contact Ken Bell (Ken.Bell@carrubbers.org) for more details. An evening playing 3-6 player board games such as Settlers of Catan, Carcassone or Agricola. Contact boardgames@carrubbers.org for more information. David Nixon: Acts 28 "PAUL: Finishing The Race Well"
Carrubbers welcomes you. Join us for worship at 65 High Street on the Royal Mile every Sunday at the times listed above. Our morning services are usually followed by tea and coffee in the cafe. You can add the Carrubbers midweek community calendar to your favourite calendaring app, whether that's in your email client or as a separate calendar on your smart phone. Subscribe to the calendar now or add it to your google calendar.